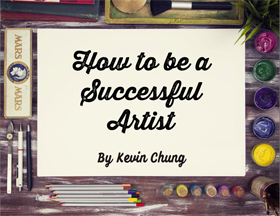 If you want to be a professional artist, you need to come to terms with selling your art. Instead of bemoaning the fact that you have to sell your art, embrace it. That’s what makes the difference between an artist that fails and one that succeeds. goes for walks/takes kids to school, etc.